Extra protection against the rain and insects. 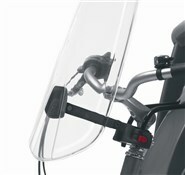 Comfortable riding in adverse weather conditions. Lightweight. Attractive design.